Three college scholarships and a professional development grant were awarded last year, for a total of $8,000. However, this is a new year with $21,000 in new opportunities. You could be the first to receive our $5,000 Louise Jorjorian Memorial Scholarship (more about that later). $19,000 in scholarships are available. You don’t have to be a NATAS member, but you do need to be a college student. $2,000 in professional development funds are available for non-student media professionals. To be considered for a scholarship, you must be actively engaged in a collegiate-level curriculum in one or more areas of the television industry and be attending a college in Northern California (Visalia to the Oregon border), Hawaii, or Reno, Nevada.You must have completed at least one undergraduate academic year of television studies, or be enrolled in a television graduate program. You must have at least one remaining year of undergraduate or graduate study. You must apply by Friday May 31. Beloved broadcaster Louise Jorjorian established her life and career in San Francisco in radio and television, landing her first job as Publicity Manager for KGO radio, and then became promotion director for KSFO Radio, where she worked for 25 years. Jerry Jensen anchored News Scene on KGO-TV with Van Amburg for 15 years until his death on March 26, 1984. Jerry died of pancreatic cancer at the age of 49. Jensen joined KGO-TV in 1969 as the weekend anchor. Prior to that, he anchored at KBHK and KRON. Jensen was awarded the NATAS Governors’ Citation in 1968. Steve Davis was an anchor/reporter for KGO-TV for more than 20 years in the 1970’s and ‘80s. He covered major events from the kidnapping of Patty Hearst to the Guyana massacre and anchored the 5 p.m. newscast. Davis was let go in 1989, but won an age discrimination suit against ABC in 1992. Davis died of cancer on March 18, 2005. Peter Marino was a stalwart member of the Chapter and co-founder of the Scholarship Program. He was well known for his public relation exploits as a music and video producer. Marino was a principle in a Bay Area recording studio and represented several recording companies. This scholarship covers a variety of production job disciplines. Multiple Emmy® award-winning television reporter Rigo Chacon worked at KGO-TV for 29 years as a general assignment reporter and opened the first Santa Clara County news bureau of a San Francisco-based TV station. Among his many honors, Chacon is an inductee of this Chapter’s prestigious Silver Circle. The family and friends of Shelly Fay started a scholarship to an outstanding videographer. Shelly was a multitalented television professional who worked in the Bay Area as a producer, photographer, director and editor for more than 25 years, mostly at KPIX. “Miss Nancy” Besst, one of the founding members of the NATAS Northern California Chapter, started her career in Baltimore as a staff teacher for Romper Room. Moving to San Francisco, she became “Miss Nancy” on Romper Room from 1958-1969. She hosted many programs on KQED, KGO, KRON and KBHK. Besst is an inducttee of the Silver Circle, 1988, and has received the Governors’ Service Medallion, 1994; Governors’ Citation, 1996, and the Governors’ Award, 1998. 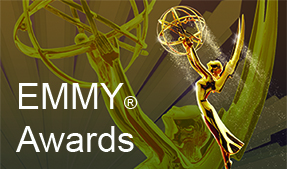 Our Chapter of the National Television Academy of Arts & Sciences awards these scholarships to encourage students who demonstrate leadership and talent in advancing the artistic, cultural, educational, and technical qualities of television. Scholarships are designed for formal education only, not training or seminars. Scholarships are funded through donations to the TV Academy Fund, Inc., the chapter’s 501(c)(3) foundation. Linda Giannecchini is our most renowned local and national NATAS leader. She has previously served as National Vice Chairman, Vice President, Secretary and Trustee. Locally, Giannecchini is a past President and chaired the Awards, Scholarship and Speakers’ Bureau Committees. Linda currently serves as Co-Chair of the Media Museum of Northern California Consortium, and the Archives/Museum Committee. She’s an Emmy® award recipient and a member of the Silver Circle. Remember, you must apply by Friday, May 31, to be considered for any of these awards.